Hailing from Santiago, Chile, NAR MATTARU are the true and worthy heirs of DOMINUS, one of the most ancient Chilean death metal bands, originally founded in 1992 and later re-incarnated into DOMINUS XUL. 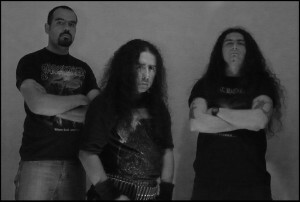 Bassist/guitarist Francisco Bravo and drummer Andrés Gonzáles were there since the early days, taking their first steps into death metal and passing into legend. Strengthened by 20 years spent in the underground playing metal, together with singer Carlos Artarys they are now the flesh and blood of NAR MATTARU, a new death metal beast consacrated to the occult. Through a maelstrom of dark riffs and vertiginous bass grooves, NAR MATTARU dig deep into the labyrinths of time, conjuring up ancient forces of evil from spectral dimensions where night is eternal and the most cruel and bloodthirsty Sumerian demons rule supreme. 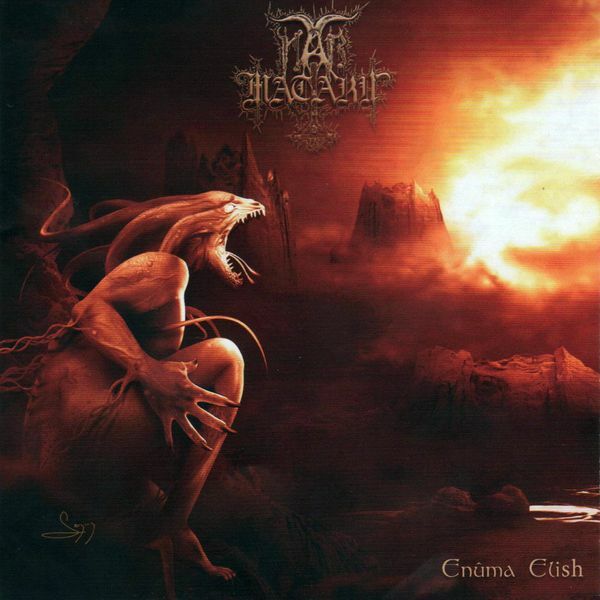 “Enuma Elish”, the band’s debut album, includes the four crushing cuts from the much celebrated “In The Black Spheres Of Time” demo 2009 (including a jaw-dropping rendition of Incantation’s classic track “Abolishment Of Immaculate Serenity”) together with three new cyclopean compositions and amazing covers of Autopsy (“Twisted Mass Of Burnt Decay”) and Kratherion (“Tirano Constrictor”).